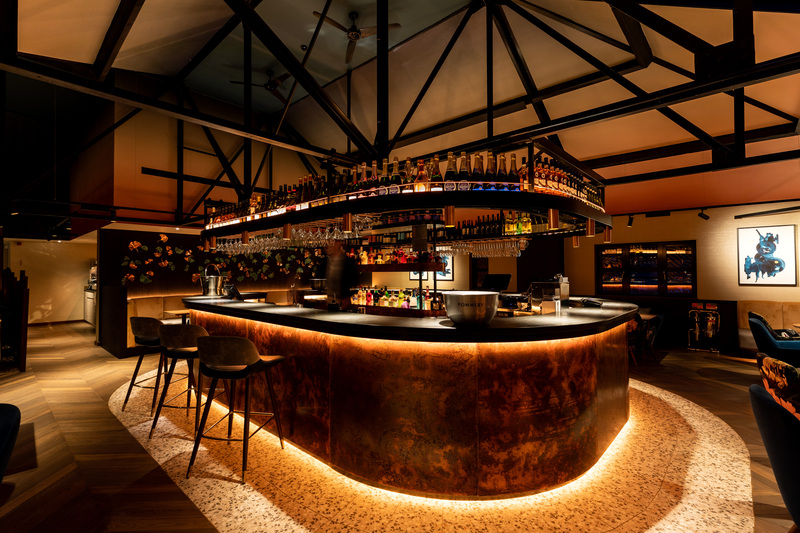 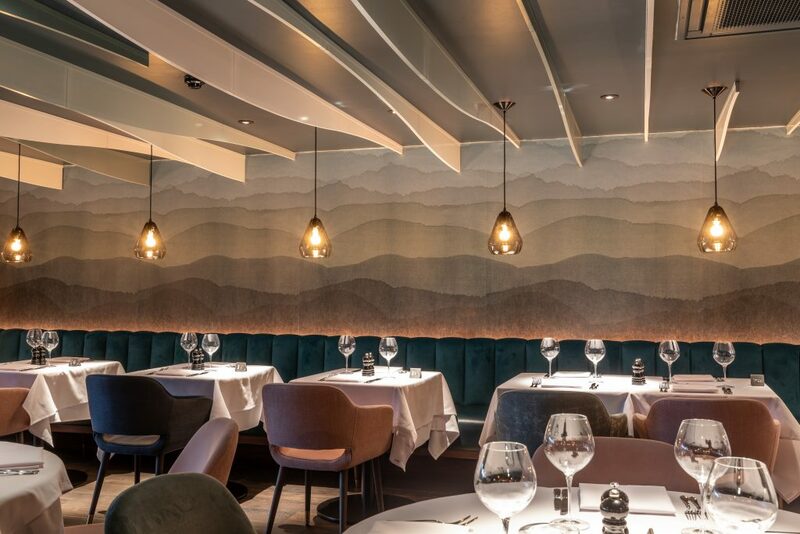 Hospitality design specialist DesignLSM has transformed a former brick and tile Essex pub into the premium-dining destination, Felix Warley. 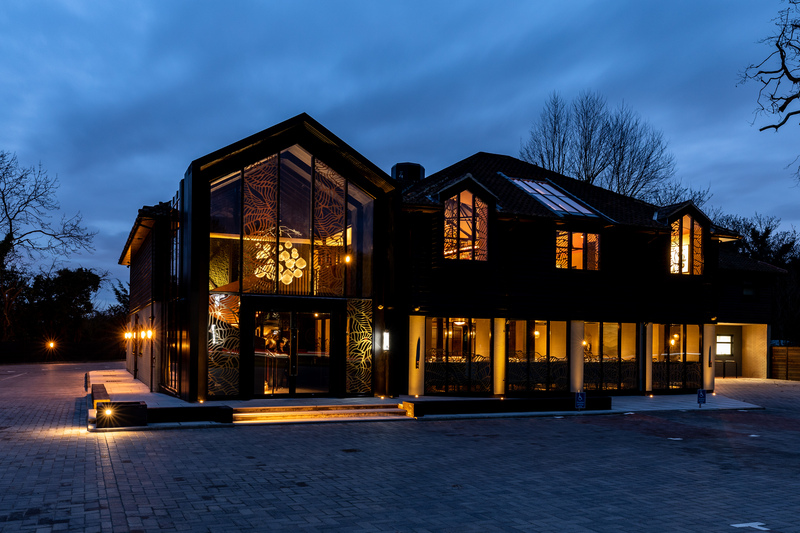 Following the success of the first Felix seafood restaurant in Billericay, Stephen Li and Cliff Fox appointed DesignLSM to undertake the Architecture, Interior Design and Branding for their new venture. 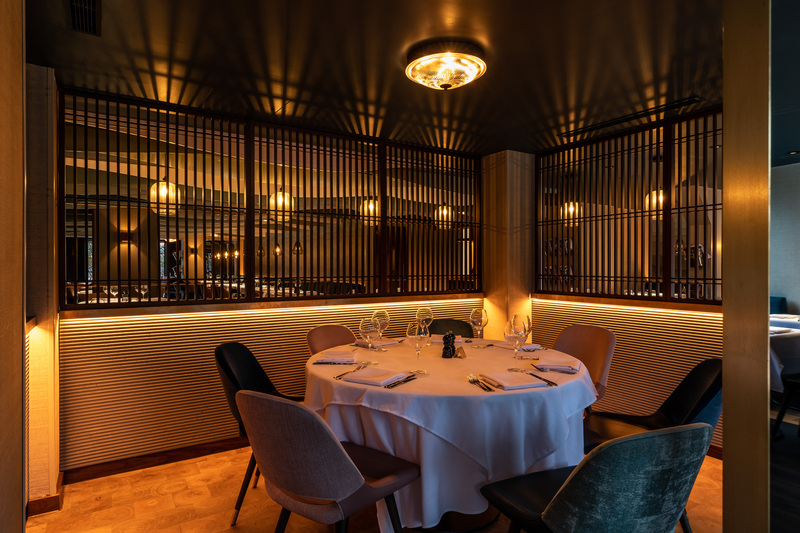 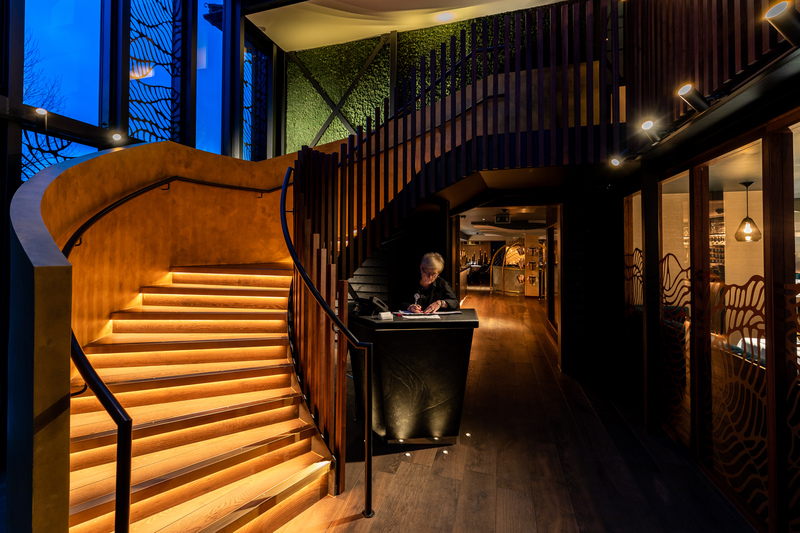 Felix Warley offers an elevated all-day dining experience within a luxurious and exceptionally unique setting for its patrons. 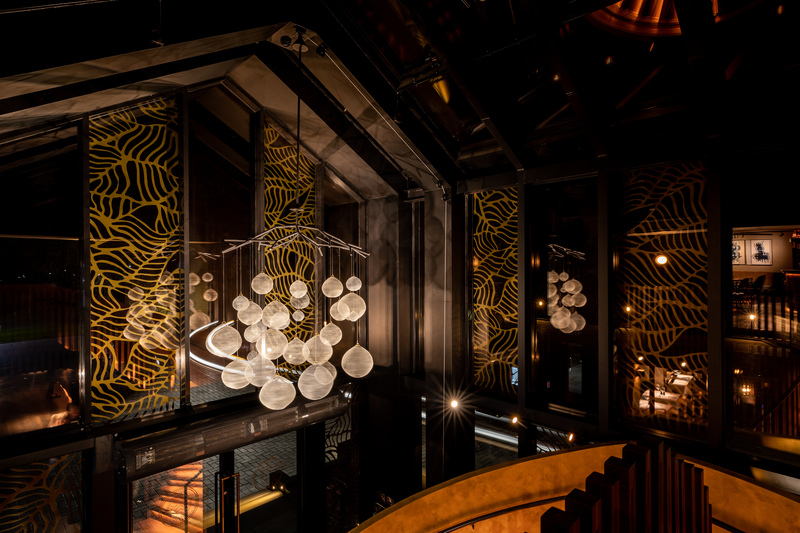 A sculptural helical staircase crowned with a striking chandelier of knitted wire orbs captivates guests as they enter the restaurant. 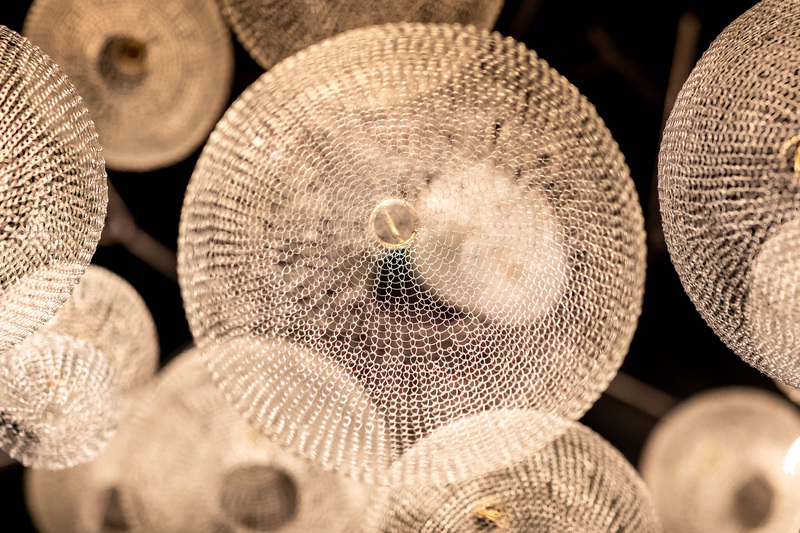 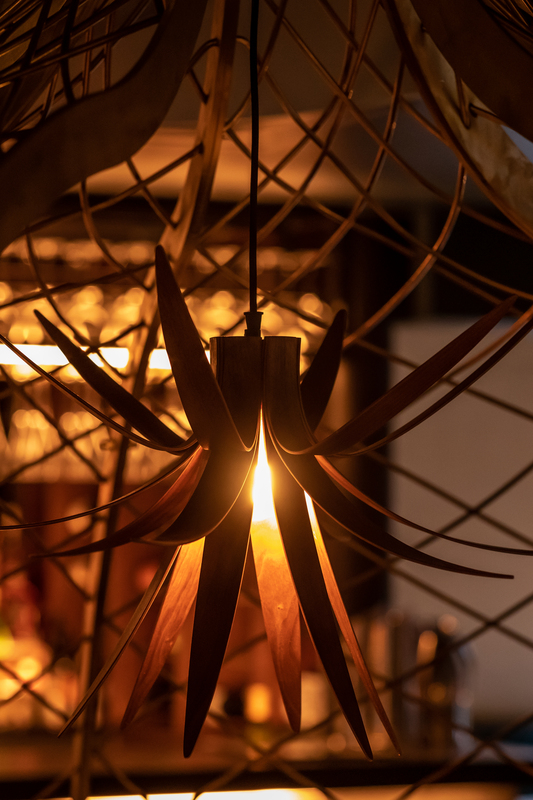 The bespoke lighting creation created by Brighton based artists Steven and Amanda Follen references a subaquatic feel, which has become a dominant design narrative throughout the scheme. 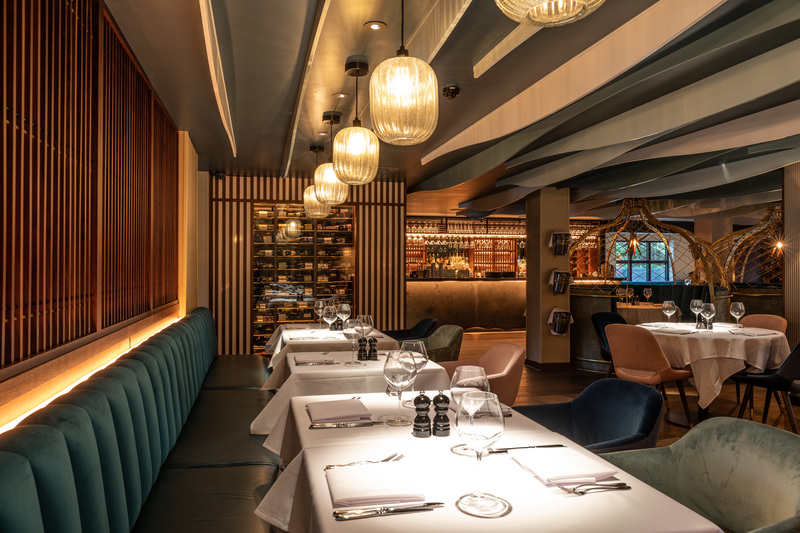 A calm palette of marine greens, blues and indulgent textures make up the ground floor restaurant interior with opulent touches such as brass nets that enclose intimate round seating booths. 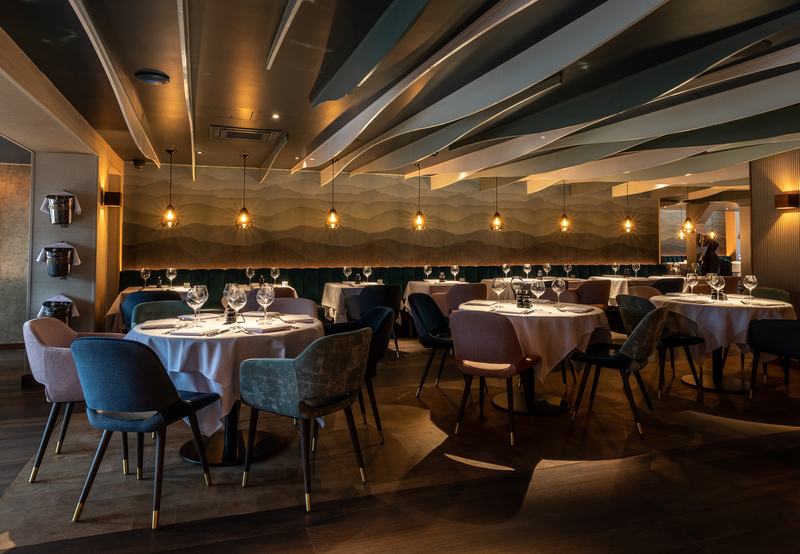 The dark ceiling is clad with playful waved fins that alter the guest’s perception as their Felix journey unfolds.